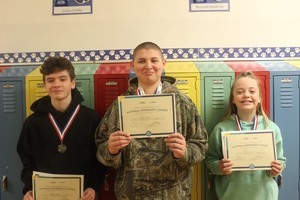 The top 3 winners of the Annual Mattanawcook Jr. HIgh School Geography Bee were: Third Place: Ellie S.Second Place: Maddox T.First Place: Hunter B.Great job to all that participated! Congratulations to the MJHS Girls on their victory over Warsaw Middle School in quarterfinal action! Our team will travel to #1 Central of East Corinth on Wednesday, February 6, 2019 at 3:30. Congratulations to the MJHS cheerleaders on a 2nd place finish at their competition in Bucksport last Friday. 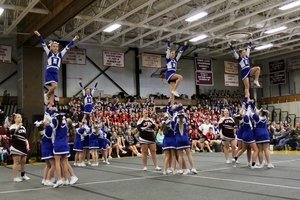 They will be competing on Friday, February 1st, at Penobscot Valley High School. 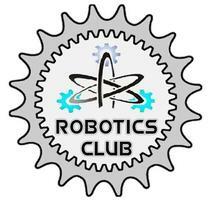 Doors open at 5:00 and the competition will begin after warmups and a coaches meeting. 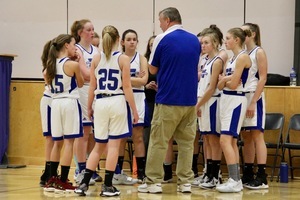 Congratulations to the MJHS Girls A basketball team, who will play a quarter-final game on Monday, February 4th, at 4:00 at Warsaw Middle School. 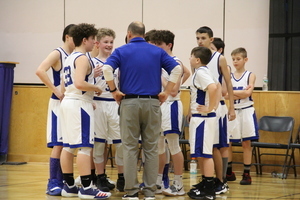 Congratulations to the MJHS boys A basketball team, who earned a first round bye and will continue into the postseason with a semi-final game on Wednesday, February 6th, at 3:30. 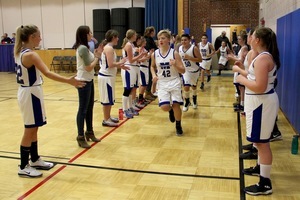 The Boys and Girls A and B teams have had a successful season, with their last games being played today, January 25th. A teams are home facing Dover and B teams are at Dexter. Playoff information will be available once final games are played and standings determined. We appreciate the way the kids and coaches have represented MJHS with their enthusiasm for the game. The MJHS cheerleaders showed off their routine at Mattanawcook Academy last Saturday during high school PVC's. They have their first competition today, January 25th, in Bucksport and another competition on February 1st in Howland. Check out this talented group of girls! As always, thanks to our yearbook editor, Jean Hanington, for the pictures. Last Thursday the sixth, seventh and eighth grade band and chorus held their annual winter music concert. Their performance was amazing! These musicians are very talented. They should be proud of the way they represented MJHS.